We’ve been talking about many things on our blog & Palma Guide lately. And as we have so much information to share with you, it’s actually been a while since we shared one of our ‘Plans for a day’ with you. First things first, if we had to recommend the perfect time of a day to visit ‘Na Clara’, we would all agree on: sunset. 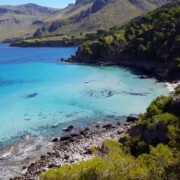 So if you want to, we would recommend spending the day there and staying until the sun gently sets, because you will see it’s real Majorcan magic. 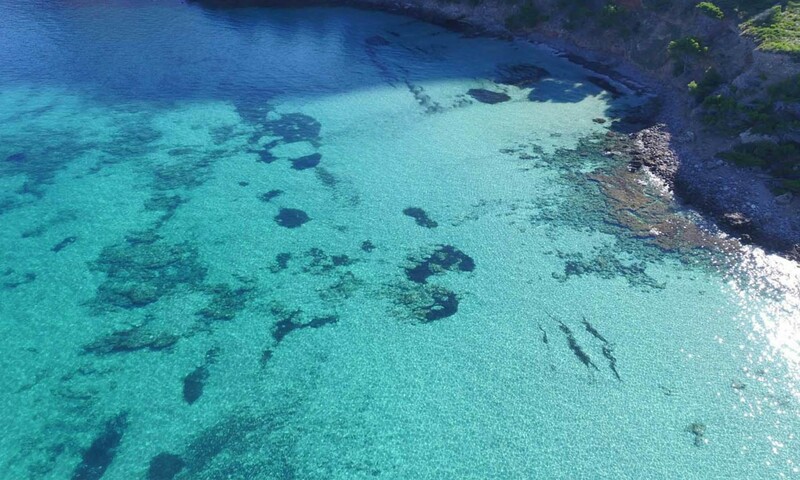 Na Clara is a rocky cove with a little sand area located about 6 kilometres away from Colonia de Sant Pere in Artá, which means we’re talking about Mallorca’s Northeast. One thing about Na Clara we really love is the stunning views. 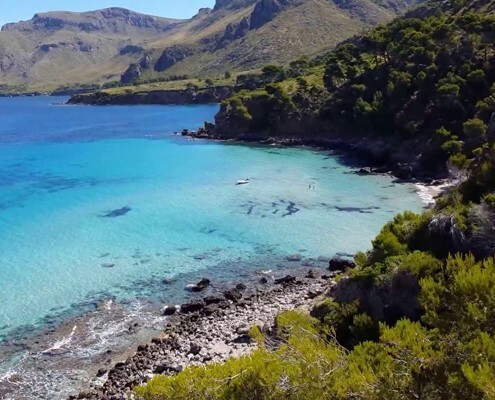 When the sea is calm, you can sit on the sand and just soak up the Majorcan landscape while diving into the water and take a look at the beauty of nature. Its name ‘na clara’ stands for the transparency of its water, which only adds to the ‘Majorcan dream come true feeling’. You can park for free and then you’ll only have to walk 200 metres on a rocky way down to the sea, which is why this cove isn’t accessible for the disabled. More info about how to get there? Just ask us at Nakar’s front desk!